Joel Heinrich has won the 2018 Aussie Racing Cars series after finishing fifth in an incident-packed final race of the season at the Vodafone Gold Coast 600. Blake Sciberras won and Justin Ruggier made for a Western Sydney Motorsport one-two after Paul Morris, who took the chequered flag in the lead under Safety Car, was excluded post-race. Morris started from first position having won Races 1 and 2, while Heinrich was third on the grid alongside Race 3 winner Ruggier. Heinrich needed only to avoid an extremely bad result to claim the series and so it was no concern that he lost a position every so often around the three Safety Car periods which occurred during the race. Despite copping a hit at the final restart which broke the rear bodywork, sixth position before the Morris penalty was more than enough to clinch the title. Kel Treseder and Kyle Ensbey, his main rivals before their sequences of problems over the weekend, made valiant but futile efforts from deep in the field to finish the race in fourth and sixth respectively. Sciberras and Ruggier were also one-two for the round overall. 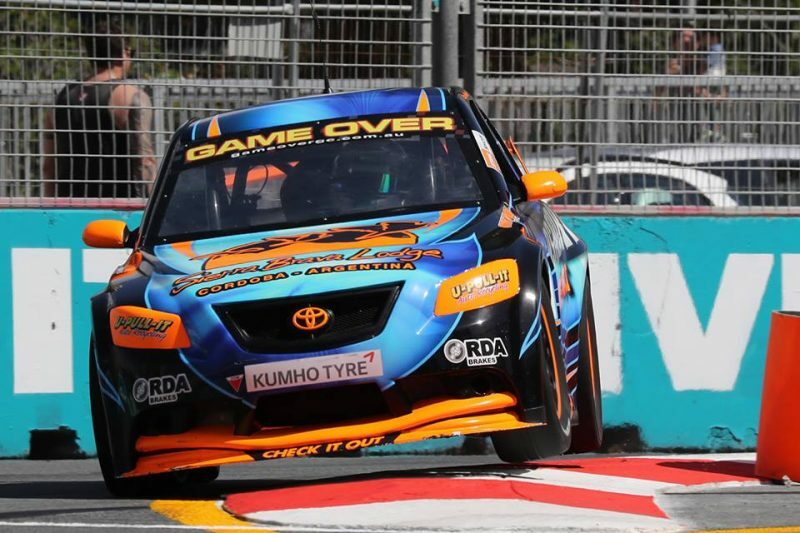 Jack Smith emerged victorious in a dramatic final two races for the V8 Touring Cars on the Gold Coast. 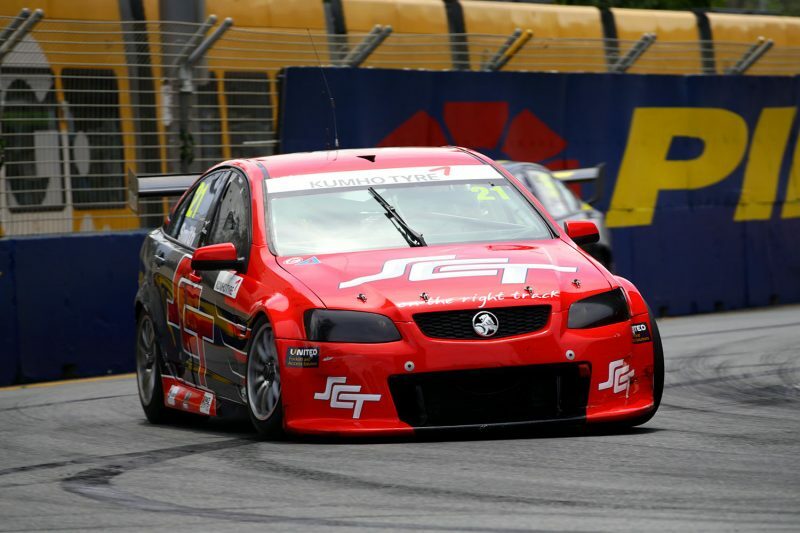 Smith (VE Commodore) started Race 2 from ninth but had already worked his way to third by Lap 3. At the head of the field, series winner Tyler Everingham (MW Motorsport FG Falcon) had opened up a five second lead but his race came to an end in the concrete wall after an apprent right-front failure caused him to lose steering at Turn 11. That left Jon McCokindale (FG Falcon) out front and as the race got back underway on Lap 7, Smith immediately locked onto the back of the leader. After several looks up the inside, the Brad Jones Racing driver made a decisive move on the penultimate lap at Turn 11 under braking, taking the win as McCorkindale and Kyle Austin (Aussie Driver Search Ford Falcon FG) completed the top three. Austin got off to a slow start in Race 3 from the front row of the grid, as McCorkindale, Chris Smerdon (Matt Stone Racing FG Falcon) and Michael Anderson (FG Falcon) all took advantage to move by on the opening lap. Smerdon then locked up and rubbed up against the fence at Turn 11, as Austin found himself second with McCorkindale. As he did in Race 2, Smith charged through the field from sixth, picking off Austin quickly and setting off up the road in search of McCorkindale. The 19-year old dived up the inside for the lead at Turn 4 on Lap 7, stretching his margin to 3.2s at the chequered flag with McCorkindale winning the round in second. Austin was third, as Anderson and Shane Hunt (BF Falcon) grabbed fourth and fifth respectively.